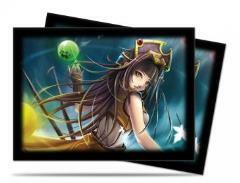 4-color printed Deck Protectors with Ultra PRO's hologram quality seal. Stores and protects standard sized cards. Features Elemental Maiden from Generals Order. 50-count pack.